Beginning March 2017 the people of Kolkata, India will be offered a new way to travel through the city’s streets with the introduction of biogas buses. A government-supported initiative, 12 buses are expected to join the capital city’s busy public and private transportation network. With each trip costing passengers only one rupee regardless of the distance travelled, transportation users are expected to embrace the addition of biogas buses. Biogas, a widely accessible renewable energy source, is a by-product of various types of waste including animal, food and plant. A main component of biogas is methane, a greenhouse gas that can be captured, processed and repurposed to power vehicles, produce electricity and cook food. The transformation acts as an example of how a harmful substance can be reimagined and converted into something useful. With their sights set on the development of biogas plants throughout the state of West Bengal, the government-selected alternative energy company, Phoenix India Research and Development Group will not only bring biogas buses to Kolkata but offer new employment opportunities in the green energy sector through the development of new biogas plants and the infrastructure required to support the industry. Already established, the Dubrajpur of Birbhum district plant located outside of Kolkata will provide Kolkata’s first wave of biogas buses with fuel. Offering space for up to 60 passengers at a time, Gulf News India reports that each of the 12 buses will cost just over 1 million rupees and have the capacity to travel 1,600km on a full tank of gas. India has a long history of employing buses to move people from one part of the city or country to another. 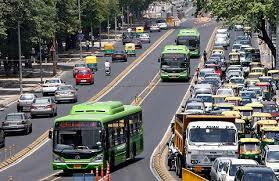 The introduction of biogas buses not only reaffirms the importance of offering affordable transportation, but provides a new vision for the future; one where the relationship between India and buses has been transformed by replacing greenhouse gas emission-producing vehicles with buses that run on renewable energy sources such as biogas.